Looking for a luxury sedan that won’t break the bank? Browse our inventory of new Acura RLX models for sale in Austin. This sleek, luxurious sedan packages together all the features you need at a price point you want. Find yours below, and contact us with any questions or concerns! Why Buy an Acura RLX? Does the Acura RLX sound like something for you? Whether you want to lease or buy, our expert and friendly team is here to help! 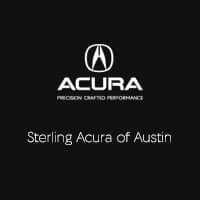 For Acura service, sales, and everything in between, turn to Sterling Acura of Austin, your Kyle-area Acura dealership.